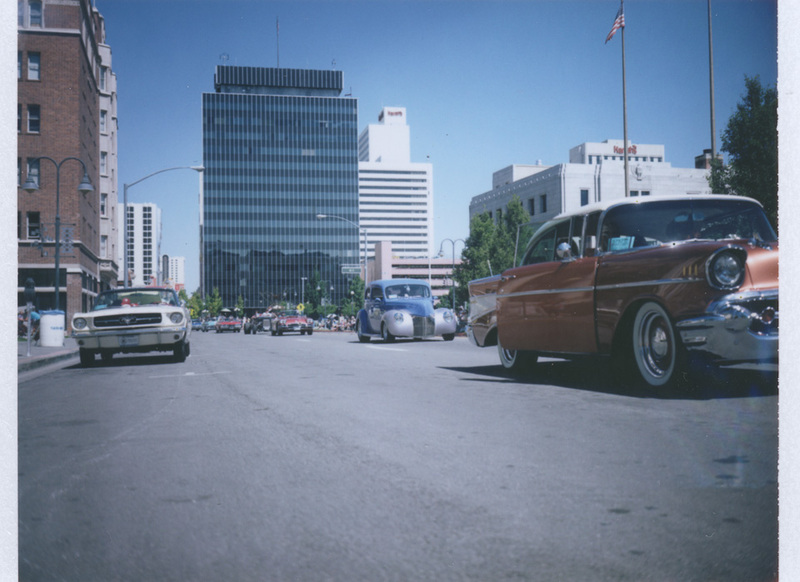 In the Biggest Little City (aka Reno, Nevada), the first week of August can feel a little like a step back in time. 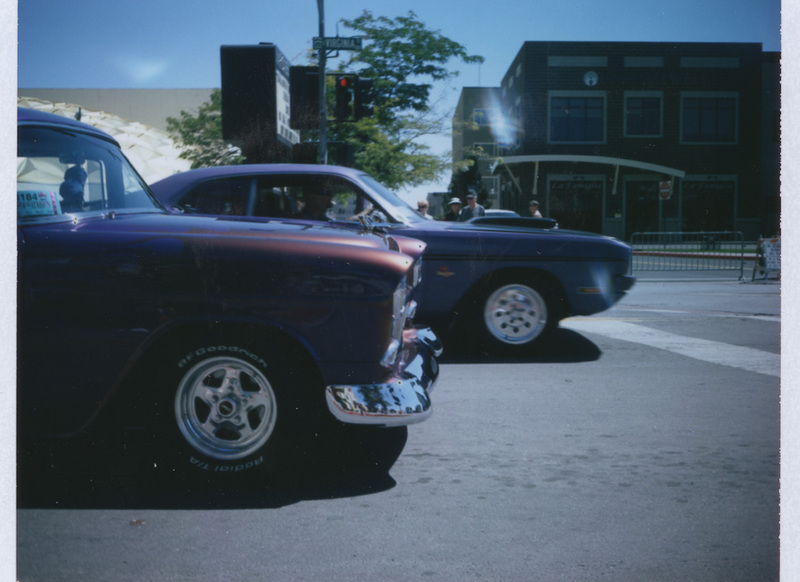 Vintage cars rule the streets and fill the casino parking lots of Reno and Sparks. 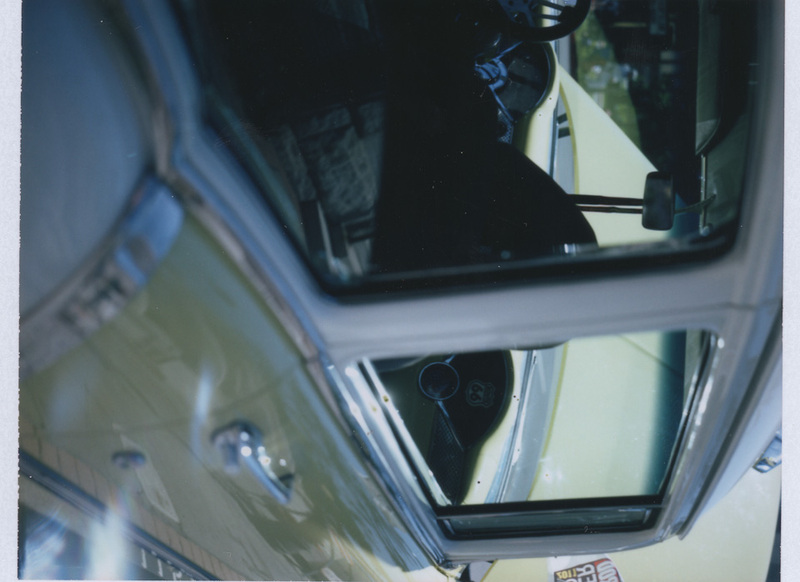 It’s a motor-head’s dream come true; shiny paint, gorgeous leather interiors, hydraulics, and curb feelers are all paired with engine revving and cruising (nice and slow, in order to show off), is all part of the fun. Generally, I try to avoid the fuss downtown, but we were looking something fun to do last Sunday. I knew the kids would love seeing all the old cars. 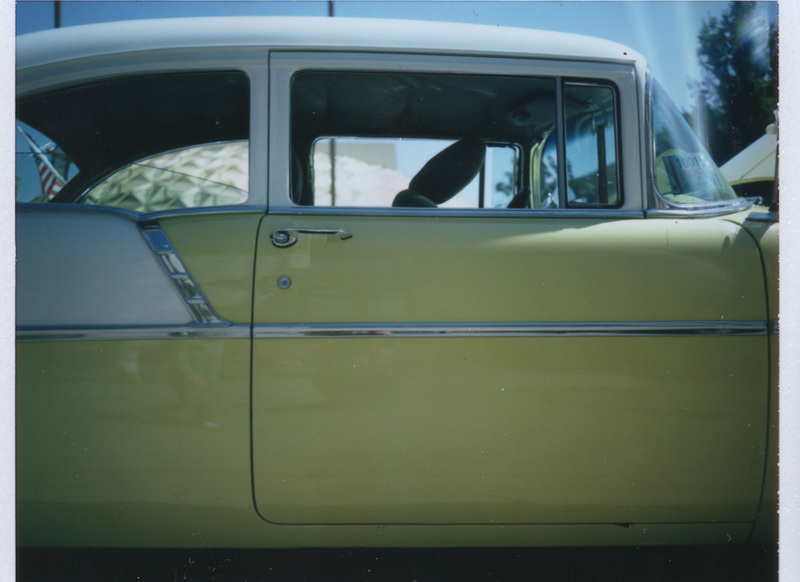 Classic cars and my classic camera seemed to be a perfect match for the morning, so I packed the Polaroid 103 and we headed downtown to capture and enjoy a small part of one of Reno’s biggest and longest running summer time events, Hot August Nights. These two purple cars had me at first rev. and out of a pretty yellow taking a cool down. 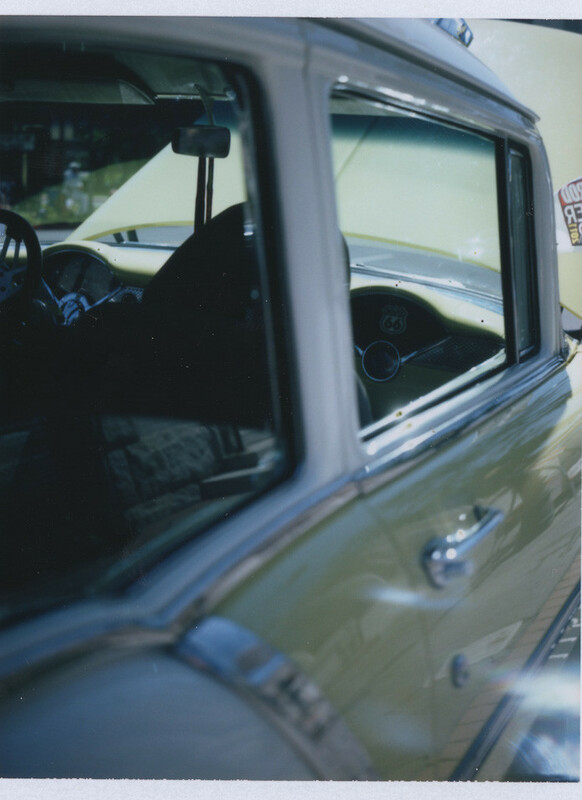 Classic cars are so much fun to photograph! Your two purple cars had you at rev, any 1956 Chevy Bel Air grabs me! They are awesome on the peel apart film! Love the muted tones. They go perfectly with the vintage cars. These are just magnificent! Serious car (and camera) envy. 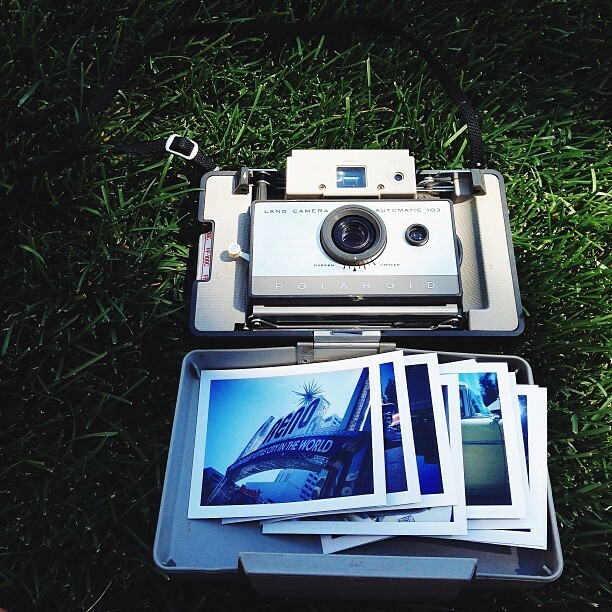 these photos are so great vanessa! looks like a cool event to check out.